Providing safe water for your family and your business is of utmost importance. For this reason, we provide water testing and on-site estimates completely free of charge! Call us at anytime for these free services. We were born here. We live here. We know West Michigan and the importance of the agricultural industry. We have experience servicing orchards and farms throughout the area, and were once farmers ourselves. We'll keep your operation going. Water is vital to all businesses, and when your business has problems with your water well, it threatens your business. We'll be there when you need us to keep your operation running. We're not just another business, we're your partner in business. You and your family rely on clean water every single day. Living in the Great Lakes State you know how lucky we are to be surrounded by this natural resource. At King Water Wells our goal is to provide you with access to this resource when you need it most. 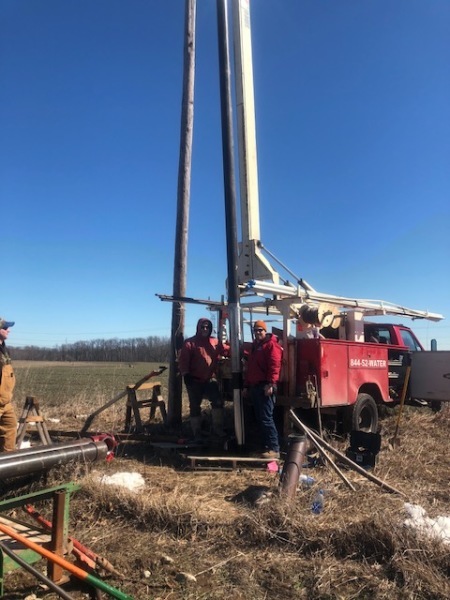 Drilling a well is a big investment. We strive to construct the highest quality well, using the best components. Wether you're a general contractor or individual homeowner, we make sure you're 100% satisfied! We're experts in well repair. We'll explain and show you what's going on as we diagnose and fix your well. We'll be there when you need us. We come fully prepared with the equipment and full line of inventory to get you going as quickly as possible. Whether you're upgrading from a 2" or replacing a low prodcuing or poorly constructed well, we'll get your replacement done with the least amount of inconvenience to you. Eliminating smells, odors, particles, sand, or other elements isn't easy, but if there's a solution we'll find it and make your water better. Your health and safety is our #1 concern. We test all our new wells and can test your water for any element based on your situation. Getting you water is one thing, conditioning it so that you enjoy using it is another. We'll test your water to get you the right system for your specific water.